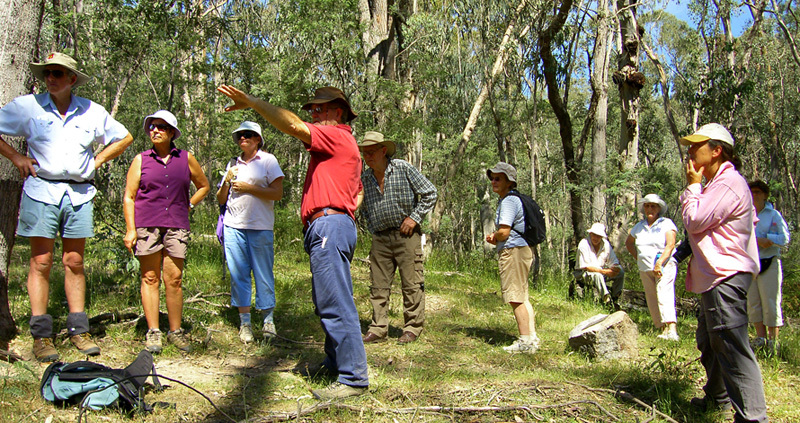 Excursion to the Sergeant Maginnity murder site. 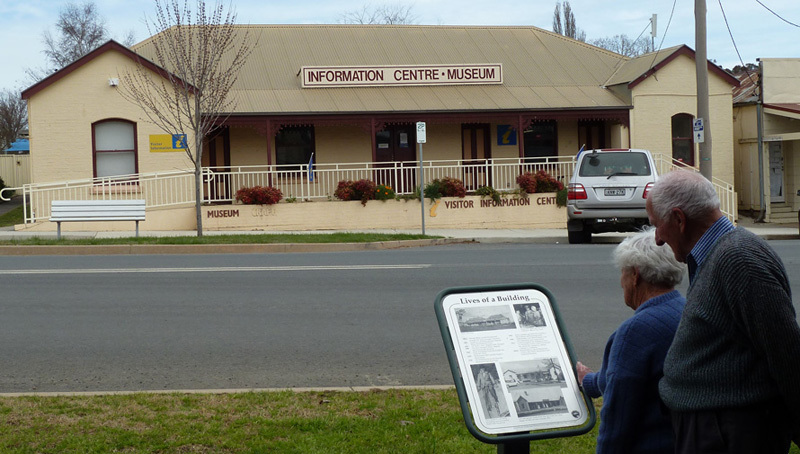 Tumbarumba’s old Tattersall’s Hotel is today a Visitor Information Centre and Museum. You will find us at the end of The Parade and we are open every day of the week. Carefully selected items with abundant photographs will quickly tell you the story of our district – just west of the mighty Kosciuszko range. 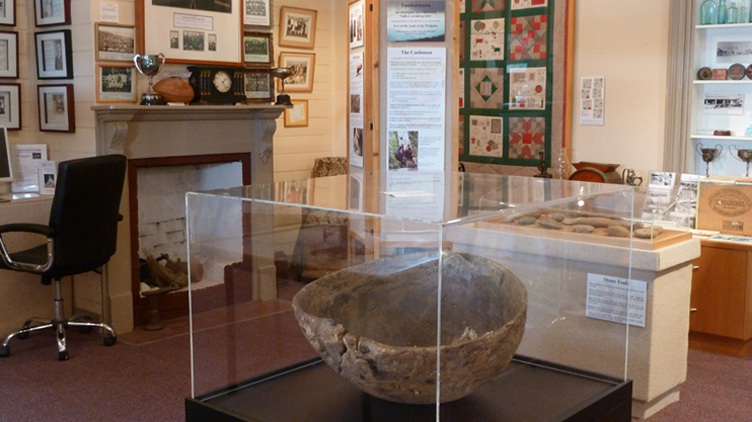 Our aboriginal heritage display features the unique Mundaroo Coolamon. The Mountain stockmen story centres on the handmade Bradley saddle. Timber gathering centres on a working model of Hussell and Gaylard’s first water-powered mill. You will marvel at the ingenuity of Heinecke’s jet elevator, a Tumbarumba patent that revolutionised gold mining world-wide. You will be moved by our WWI remembrance. Unravel the 27 year mystery sparked by the nearby crash of the Southern Cloud. From the museum you can explore the locality using our TimeWalks guide. 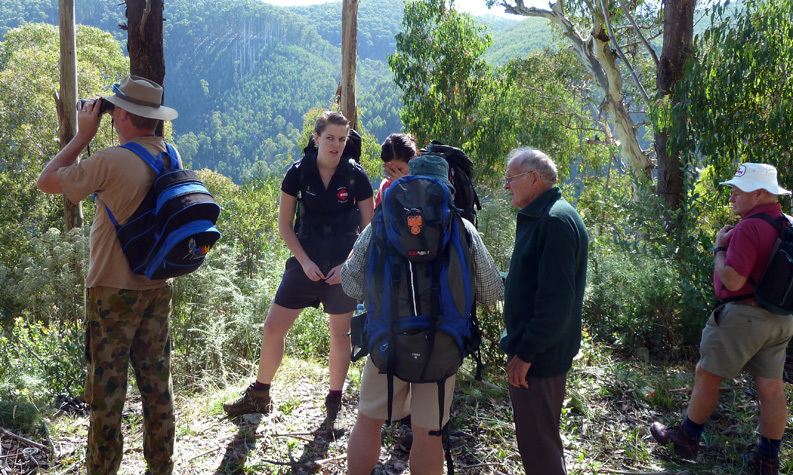 Follow the path of Hume and Hovell and their six convict servants. 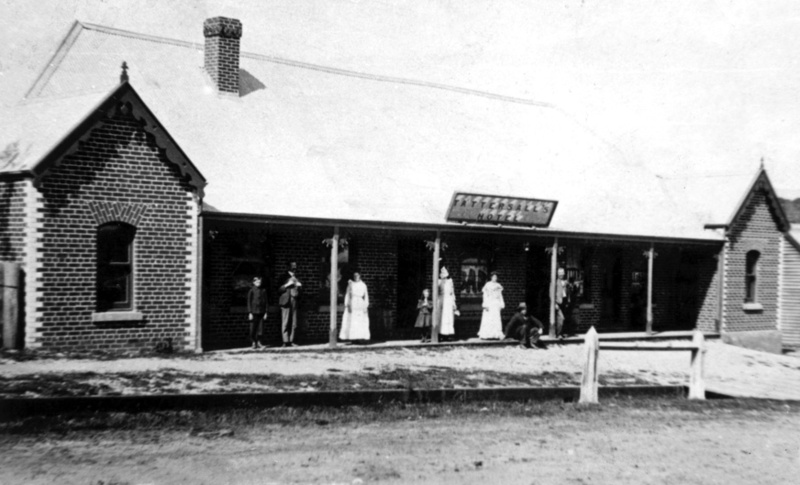 Trace the circumstances of the murder of Sergeant Maginnity by bushranger Dan Morgan. 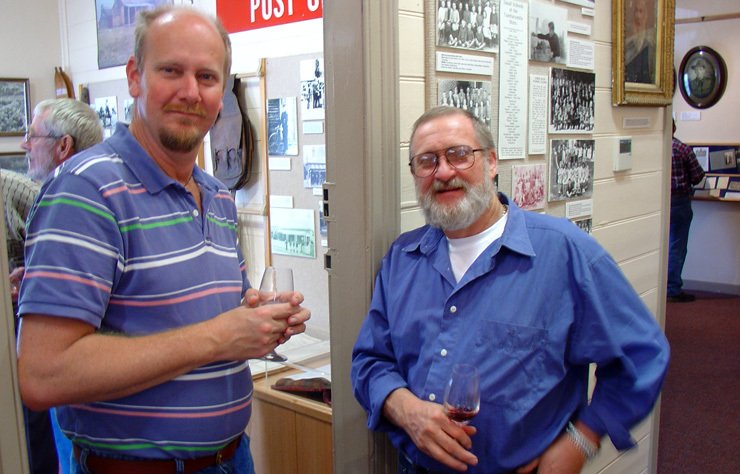 You may want to see our Tumbarumba Archives, the many natural beauty-spots, or a winery or two, a fun cinema café, a gallery, the Pioneer Womens Hut. One day might not be enough!